I have paid for Reset Key but have not received it? | WIC Reset Utility. Reset the Waste Ink Pad Counters by WIC. If You have not got email message with Reset Key even in 10 minutes – please check your junk and spam folders, some time our custmers find Reset Keys message in spam folders. – Sign in 2Manauls.com with email address which you have used placing the order. – Go to Order History – You’ll see list of Your orders. 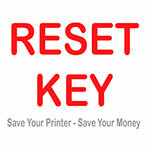 Take in mind that if You paid Your order by PayPal – the Reset Key will be sent to Your PayPal account email address. Not that address You place an order, but PayPal account email address. « How many times can I use the Reset Key?